Foambag offers a fast, efficient method of shutting down distribution mains for a wide range of maintenance applications and mains abandonment projects. Foambag is more than a foam, it is a shutdown system that is purpose built for natural gas industry maintenance operations. 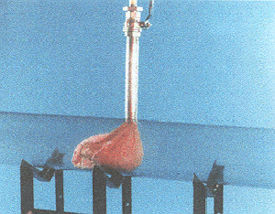 In its standard form, Foambag shutdowns are achieved by introducing a special fabric bag into a main, either using a standard open-hole technique, or using an ALH Gas-Free* tapping system. Foam is mixed in a plastic container, poured into a special timed release cartridge gun and pumped into the Foambag. The foam swells to fill the bag and then oozes out through the special semi-porous surfaces of the bag to roll any fluids, including water, out of the way. It then combines with any loose debris and bonds to the pipe walls. This produces a 100% shutdown in a predetermined short length of main in less than 30 minutes. 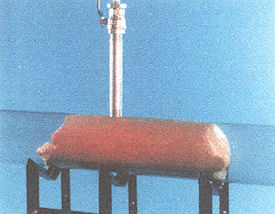 Foambag uses dramatically different foam from any previously supplied to the gas industry. The system facilitates mains shutdowns when used in combination with PLCS Stop-Off Bags. 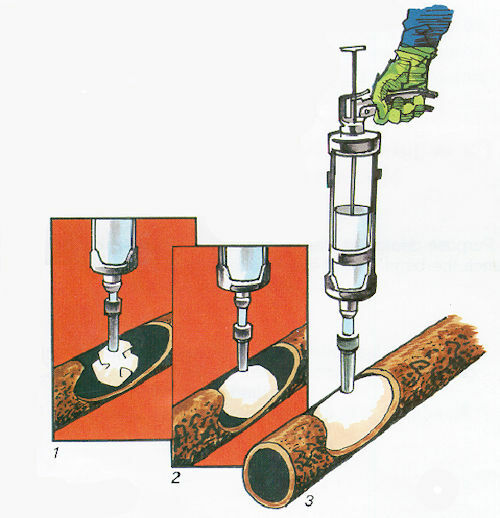 Foambag provides sectioning for dead insertion during upgrade projects. Foams offer control of PCBs in abandoned mains. Close tolerance branch main abandonment shutdowns. 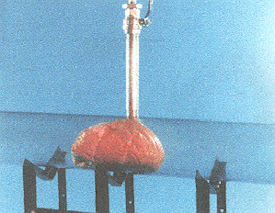 Foams provides sectioning during Lyontec Live Mains Insertion (see separate literature).